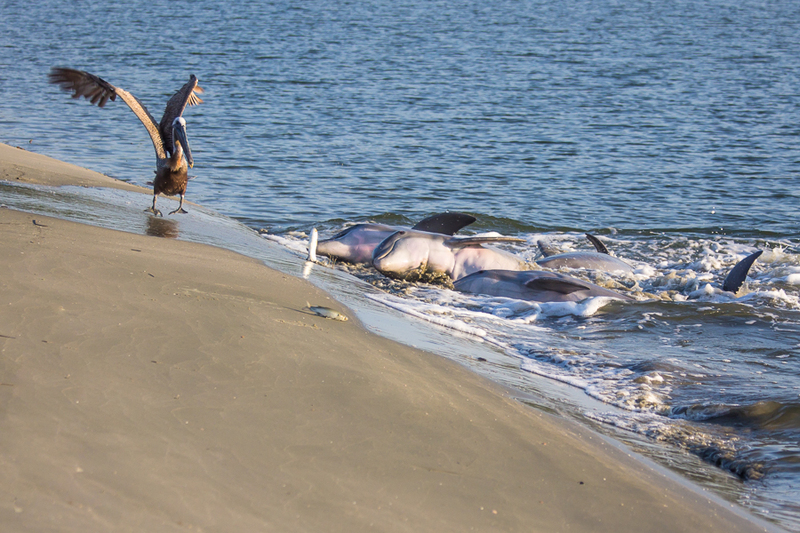 The common bottlenose dolphin work together to drive the mullet onto the bank to feed. This behavior is referred to as strand feeding. The pelican watch and wait and do a little dance as the mullet are driven onto the bank, trying to get the fish before the dolphin. It is an amazing site often seen on the banks of Seabrook/Kiawah Island, SC.